USB flash drives are an essential tool that can help any organization manage, share, and control their data more efficiently. But they are also often misunderstood. Not a lot of people understand how USBs work, and misconceptions about how fragile & vulnerable this technology is persists. 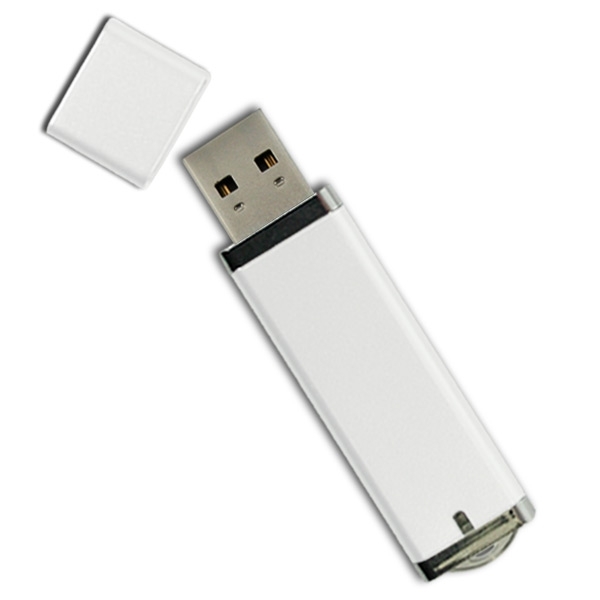 At All USB, we’ve heard our fair share of misinformation about USB flash drives. We have the experience and the know-how to separate fact from fiction. Don’t believe what you’ve heard: Here are three of the biggest misconceptions about USBs. This is a common concern we hear from customers. “What if the USB connectors break off?” It’s a reasonable question, when you consider how much wear and tear a normal flash drive goes through. Being repeatedly inserted and removed from ports seems like it would put the USB’s connectors at risk over time. But the truth is that USB connectors are actually often times the MOST durable part of a flash drive! The USB connector on all flash drives are made from metal that is very resistant to damage or bending. In most cases the most hardy and durable component in a flash drive is the connector! The cases of many drives are made out of plastics or mixed materials that are much more likely to break down over serious wear and tear. The same thing goes for the inside of the USB. The guts of your flash drive will most likely be much more fragile than your connector. That isn’t to say that your connector can’t be damaged; Like any other piece of technology, it can only take so much abuse before it falls apart. They are designed to be tough, though. So long as you keep your USB out of extreme temperatures or don’t drop it from great heights it should hold up just fine. There IS a kernel of truth in this idea. Will exposing your USB flash drive to water destroy it? No… UNLESS the USB drive is plugged in. A USB drive that’s powered on will break when immersed in water. But a USB drive that’s not in use could be dropped in a glass of water or a running sink and be just fine, so long as it is cared for properly. Don’t just take our word for it: Here’s a great video showing what happens when they get dropped into a lake! The right aftercare is essential for preserving your data. Take your wet drive and dry it as much as possible with a piece of paper towel. This will sponge up excess moisture. After you’ve toweled off your drive, put it in a sealable bag or jar of uncooked rice or silica gel for 24 hours. The uncooked rice will draw out and absorb any lingering moisture inside your flash drive; Silica gel has similarly astounding moisture-absorbing properties. Store your container in a warm, dry place. Check your drive after 24 hours. If you still see or feel any moisture, leave it in the container for another 24 hours. Repeat this process until your drive is completely drive. One alternative to ensure a faster dry time is to open up your flash drive! Use a small flat-blade screwdriver to separate the two halves of your drive’s case. You can then use a paper towel to dry the inside of the case before putting it in a container with silica gel or rice. We’d only recommend opening your drive if you’re comfortable doing careful work with a screwdriver, cause you could risk permanently damaging your USB if you aren’t careful. Regardless of whether or not you opt to open up your USB, it’s very important that you dry your USB drive. While your data won’t necessarily be at risk right away, water can over time corrode the metal parts holding your drive together. But so long as you act quickly and effectively, a bit of water will NOT ruin your USB. And don’t worry if the flash memory chip itself comes into contact with water: Most memory chips are designed to be waterproof! A magnet should pose no threat to your flash drive. The data in your USB drive is stored as electric charges- The information is contained within pieces of metal that are given either an excess or a deficiency of electrons. 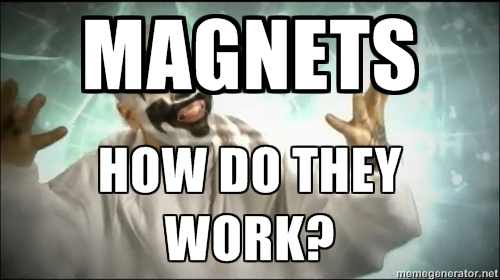 An unmoving magnetic field, regardless of its strength, would not be able to affect these electric charges. IF you were to expose your flash drive to a powerful enough MOVING magnetic field, it could induce electrical currents that could erase your data or damage the flash drive’s circuits. But in order for that to happen, your flash drive would have to be exposed to a piece of machinery like an MRI machine or a microwave oven. Household magnets and most other items you’ll use on a daily basis with magnetic properties pose zero threat to your USBs. Part of the reason why this misconception is so prevalent comes down to magnetic tape. In the past a lot of data storage technology and computers stored their information on magnetic tape, which CAN be erased by magnets. But as memory chips and technology have gotten more sophisticated, magnetic tape has become far less common and tends to be saved for archival purposes now. The vast majority of personal electronics you use (esp. your flash drives!) don’t use magnetic tape. USB drives may be small, humble little devices but they are built to last! If you have any questions about what could effect your USB drive, send us a message. We’d love to answer any questions you may have about flash drive use and safety. This entry was posted in Articles, USB Devices, USB Technology and tagged cleaning your USB, fixing your USB, flash drives, magnets, USB connectors, USB facts, USB Flash Drive, USB maintenance, USB safety, water damage. Bookmark the permalink.